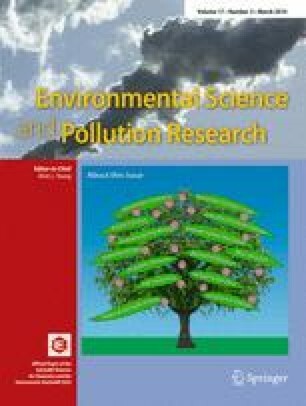 For reliable environmental risk assessment of pollutants, knowledge on the effects at different levels of biological organisation is needed. During the early days of biomarker research in environmental studies approximately two decades ago, biochemical biomarkers were considered as the most promising tool for such purposes. Among these, three enzymes have often been studied: catalase (CAT), glutathione S-transferase (GST) and cholinesterase (ChE). However, despite their intensive research, their measurements in invertebrates have not been commonly applied in environmental risk assessment (ERA) or for regulatory purposes. In the present review, we summarise our past experiences in biochemical biomarker research in two crustacean species: water flea Daphnia magna and terrestrial isopod Porcellio scaber. This is to orientate their use and to provide recommendations for the use of novel biomarkers in environmental studies, such as proteomic or genomic responses. We assessed the intrinsic properties of biochemical biomarkers CAT, GST and ChE in the D. magna and the isopod P. scaber. It was found that they are not in agreement with the expectations that were previously given for their use in environmental studies. To advance their use in environmental risk assessment, we suggest that based on their properties, their role should be more specifically defined. ERA includes several distinct steps, among them hazard identification, effect assessment and finally risk characterisation, each of which requires a different type of toxicity data. We recommend that the use of biochemical markers is most appropriate for hazard identification because this is a procedure whose purpose is to characterise the potential hazard of the substance in question and is more flexible in terms of using different tools. Furthermore, our results imply that biochemical markers are not always more sensitive than whole-organism responses, as was anticipated. Their sensitivity depends on the mode of action, duration of exposure and test species. Therefore, we suggest that combining both a battery of biomarkers from different levels of biological organisation and an array of biomarkers within a single level could identify hazard adequately. The lesson learnt from biochemical biomarkers in environmental studies utilizing crustacean model species is that, for successful application of each group of biomarkers, their intrinsic properties are needed to be known before an (eco)toxicity study is designed. We suggest that a substantial body of experience obtained with biochemical biomarkers should be exploited to new emerging biomarkers in environmental studies in order to facilitate their application. The future of biomarkers lies in a combination of traditional biochemical and new-generation biomarkers. The latter are not only a potential replacement for existing biomarkers but will also provide new knowledge which might encourage renewed research and development of traditional biomarkers. For research purposes, complete ecotoxicity information should include contributions from molecular fingerprint of an organism, as well as whole organism, population and ecosystem responses. Still, the type of biomarkers used for routine purposes will depend on their reproducibility, their ease of use, robustness, affordability of the methodology and the type of chemicals, organisms and ecosystem of interest. This work was financially supported by Slovenian Research Agency and the Slovenian Science Foundation (WFS National Scholarship). We thank Dr. Bill Milne for editing and commenting the manuscript.